"As Hannah Arendt once predicted," writes Contributing Editor Henry Giroux, "totalitarianism [emerges] in forms unique to the tyranny of the times." For reasons that are part and parcel of the political and cultural ecology of our time, the election of the new President of the United States comes as a new message we need to respond to, however disconcerting it is for those of us who believe, for instance, in the embrace of diversity. The self-centered, disrespecting gene in human beings that translates into acts against others are lodged in our hard wiring and require acts of consciousness to keep at bay. In two articles here, Giroux engages with what has been brought to us in the form of a new authoritarian style in US politics, first in relation to the recent explosion in sales of Orwell's 1948 book, 1984, and then, in regard to last week's travel ban, with "flawed difference." In this amalgam of Trump’s blatant contempt for the truth, his willingness to embrace a blend of taunts and threats in his inaugural address, and his eagerness to enact a surge of regressive executive orders, the ghost of fascism reasserts itself with a familiar blend of fear and revenge. Unleashing promises he had made to his angry, die-hard ultra-nationalists and white supremacist supporters, Trump targeted a range of groups whom he believes have no place in American society. For now, this includes Muslims, Syrian refugees, and illegal immigrants who have become the collateral damage of a number of harsh discriminatory policies. The underlying ignorance, cruelty and punishing, if not criminogenic, intent behind such policies was amplified when Trump suggested that he intended to pass legislation amounting to a demolition of environmental protections. He asserted his willingness to resume the practice of state sponsored torture and deny funding to those cities willing to provide sanctuary to illegal immigrants. And this was just the beginning. The financial elite now find their savior in Trump as they will receive more tax cuts, and happily embrace minimal government regulations, while their addiction to greed spins out of control. Should we be surprised? The memory of totalitarianism with its demand for simplistic answers, intoxication with spectacles of vulgarity, and a desire for strong leaders has faded in a society beset by a culture of immediacy, sensations, and entertaining illiteracy. Under such circumstances, it is difficult to underestimate the depth and tragedy of the collapse of civic culture and democratic public spheres, especially given the profound influence of celebrity culture, a permanent war culture that trades in fear, and the ever present seductions of consumerism which breeds depoliticization and infantilism. Another shocking and revelatory indication of the repressive fist of neo-fascism in the Trump regime took place when Trump’s chief White House right-wing strategist, Steve Bannon, stated in an interview that “the media should be embarrassed and humiliated and keep its mouth shut and just listen for awhile….You’re the opposition party. Not the Democratic Party. …The media is the opposition party. They don’t understand the country.”3 This is more than an off the cuff angry comment. It is a blatant refusal to see the essential role of a robust and critical media in a democracy. Such comments suggest not only a war on the press, but the very real threat of suppressing dissent, if not democracy itself. Unsurprisingly, Bannon referred to himself in the interview as “Darth Vader.” A more appropriate comparison would have been to Joseph Goebbels, the Reich Minister of Propaganda in the Third Reich. The current onslaught of revenge and destruction produced by this updated version of authoritarianism is glaringly visible and deeply brutal, and points to a dark future in the most immediate sense. But, the arrogant and unchecked presence of this neo-fascist regime has also ignited the great collective power of resistance. Hope and sanity are in the air and the relevance of mass action has a renewed urgency. Some mayors are refusing to allow their cities to be Nazified, demonstrations are taking place every day, and women are marching to protect their rights. This resistance will continue to grow until it becomes a movement whose power will be on the side of justice not injustice, bridges not walls, dignity not disrespect, compassion not hate. Let’s hope they dispel Orwell’s nightmarish vision of the future in our own time. In response to the religious ban targeting Muslims and Syrian refugees escaping a devastating war, carnage, and state violence, thousands of people across the country have mobilized with great speed and energy to reject not just a possibly unconstitutional ban, but also what this and other regressive policies herald as a possible model for the future. Many writers have focused on the massive disruption this shoot-from-the hip piece of legislation has and will produce for students, visa holders, and those entering the United States after finishing a long vetting process. As an editorial in the Washington Post pointed out, Trump’s immigration order is “breathtaking in scope and inflammatory in tone.”1 Moreover, it lacks logic and speaks to “the president’s callousness and indifference to history, to America’s deepest lessons about its own values.”2 Given that it was issued on Holocaust Remembrance Day points not only to Trump’s moral callousness, if not outright ignorance, but also to the power of chief White House strategist, Steve Bannon, a white-supremacist and anti-Semite, who played a key role in drafting it. 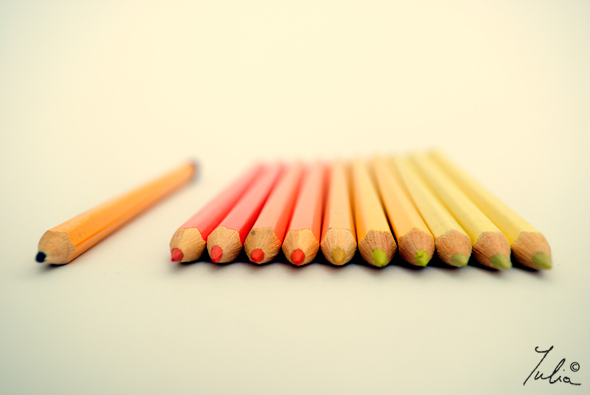 Let’s make other kinds of mistakes; let’s be flawed differently. Not only will this immigration order further threaten the security of the United States given its demagogic design and rhetoric of exclusion by serving as a powerful recruiting tool for terrorists, it also legitimates a form of state sponsored racial and religious cleansing. Chicago Cardinal Blasé Cupich, hardly a radical, was right in stating that the design and implementation of the order was “rushed, chaotic, cruel, and oblivious” to the demands and actualities of national security, but that it had “ushered in a dark moment in U.S. history.”3 Dark, indeed, because the impetus behind the ruling signals not only a society that has stopped questioning itself, but also points to its immersion into a mode of totalitarianism in which a form of social engineering is once again being constructed around an assault on religious and racial identities. What we are witnessing under Trump and his chief ideologues is a purification ritual motivated by xenophobia and the attempt to create a white public sphere free of those who do not share the ideology of white Christian extremists. Trump’s immigration order is meant to carve out a space for the dictates of white supremacists, a space in which those considered flawed — racially and religiously defective — will be subject to terminal exclusion and exile. This war on the Other is part of a larger obsession which combines a purification ritual with the heightened, if not hysterical, demands of the national security state. Under Trump’s regime of hatred, the cruelty and misery of massive exploitation associated with neoliberal capitalism merges with a spectacle of exclusion and a politics of disposability that echoes those totalitarian regimes of the 1930s that gave birth to the unimaginable horrors and intolerable acts of mass violence.4 Racial cleansing based on generalized notions of identity echo the sordid principles of earlier policies of extermination that we saw in the past. This is not to suggests that Trump’s immigration policies have risen to that standard of violence as much as to suggest that it contains elements of a past totalitarianism that “heralds as a possible model for the future.”5 What I am arguing is that this form of radical exclusion based on the denigration of Islam as a closed and timeless culture marks a terrifying entry into a political experience that suggest that older elements of totalitarianism are crystallizing into new forms. Democracy, at least as an ideal, may be under siege, but the forces of resistance are mobilizing around a kind of wakefulness in which civic courage and the ethical imagination are being realized through mass demonstrations in which individuals are putting their bodies on the line, refusing Trump’s machinery of racist exclusion and white supremacy. Airports are being occupied, people are demonstrating in the streets of major cities, and liberal and progressive politicians are speaking out against the emerging neo-fascism. Democracy may be in exile but the spirit that animates it is far from defeated. To be “flawed differently” works against the poisonous legacies and totalizing totalitarian strictures of racial purity that are still with us, and rejects the toxic reach of a government dominated by morally repulsive authoritarians with their legions of conservative lawyers, think tanks, pundits, and intellectual thugs. Being “flawed differently” means we bleed into each other, flawed in our rejection of certainty, and racial cleansing. Flawed differently we revel in our diversity, united by a never ending search for a just society. As such we join in solidarity and opposition in our differences mediated by a respect for the common good. But also share in our resistance to a demagogue and his coterie of reactionaries who harbor a rapacious desire for concentrating power in the hands of a financial elite and the economic, political, and religious fundamentalists who slavishly beg for recognition and the crumbs of power. Being “flawed differently” means mobilizing against the suffocating circles of certainty that define the ideologies, world views, and policies that are driving the new authoritarianism, expressed so clearly by chief White House strategist, Steve Bannon, who unapologetically — and with an echo of Nazi Brownshirt bravado — told the press to shut up and be quiet. Being “flawed differently” provides a rhetorical signpost for creating new democratic public spheres, noisy conversations, and alternative spaces informed by compassion and a respect for the other. There is no choice but to stop this machinery of death from functioning and it has to be brought to an end in every space, landscape, and institution in which it tries to shut down the foundations of fragile democracy. Reason and thoughtfulness have to awake from the narcotizing effects produced by a culture of spectacles, consumerism, militarism, and the celebration of unchecked self-interests. The body of democracy is fragile and the wounds now being inflicted upon it are alarming. What might it mean, then, to imagine a landscape of resistance in which the metaphor of democracy in exile inspires and energizes young people, educators, workers, artists, and others to engage in political and pedagogical forms of resistance that is disruptive, transformative, and emancipatory? What might it mean to create multiple protective spaces of resistance that would allow us to think critically, ask troubling questions, take risks, transgress established norms and fill the spaces of everyday life with ongoing acts of non-violent resistance? What might it mean to create entire cities defined as sanctuaries for a democracy in exile? What might it take to create modes of coordinated resistance that challenge this new and terrifying horizon of authoritarianism that has overshadowed the ideals of a radical democracy? Trump spillover? 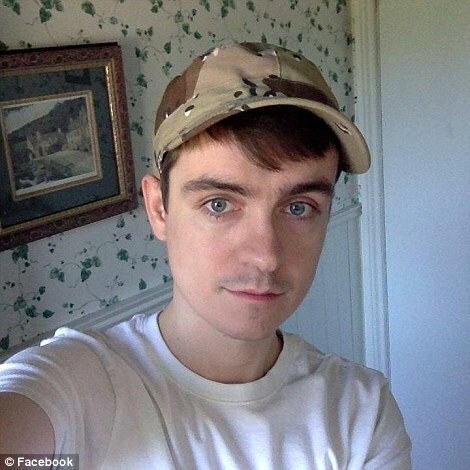 — Alexandre Bissonnette is suspected of carrying out the January 29 Quebec City mosque massacre alone. Under such circumstances, it is crucial to confront such dark times with a fierce insurgency fueled by the capacity to imagine a more just and democratic future, one that can only emerge through a powerful and uncompromising collective struggle. As Hannah Arendt once predicted, totalitarianism’s curse is upon us once again and it has emerged in forms unique to the tyranny of the times in which we live. Trump has brought the terrors of the past into full view, feeding off the fears, uncertainties, and narratives that make so called “others” superfluous. Under such circumstances, not only does politics get emptied out of any viable meaning, but the vanishing of democracy is matched by the disappearance of those considered disposable. In the face of this all-encompassing zone of ethical and social abandonment — and the acceleration of a machinery of civil and social death — the American public must create a new language for politics, resistance, and hope. This must be a language that refuses to normalize the present and challenges the racialized war culture that Trump is legitimating. A democracy in exile is not a prescription or rationale for cynicism, nor is it a retreat from one’s role as an informed and engaged citizen. On the contrary, it is a space of energized hope where the realities of neo-fascism — along with its racist, morally obscene, and politically death-dealing practices — can be revealed, analyzed, challenged, and destroyed. The United States now occupies an historical moment in which there will be overwhelming acceleration of violence, oppression, lawlessness, and corruption. These are truly frightening times that must be confronted if a radical democratic future is not to be cancelled out. 3. Deepti Hajela and Michael Tarm, “Trump Travel ban sparks protests, airport chaos,” Hamilton Spectator (January 30, 2017), p. A6. 4. This issue has been brilliantly explored by Zygmunt Bauman in a number of books. See, especially, Wasted Lives (London: Polity Press, 2004) and Identity: Conversations with Benedetto Vecchi (London: Polity Press, 2004). 6. Meara Sharma interviews Claudia Rankine, “Blackness as the Second Person,” Guernica (November 17, 2014). 7. Cited in Frederick Douglass, “West India Emancipation” speech at Canandaigua, New York on August 3, 1857.